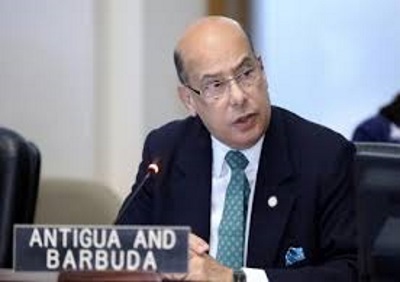 WASHINGTON, Jun 1, CMC – Antigua and Barbuda Friday become the first Caribbean Community (CARICOM) country and to ratify the Inter-American Convention against Racism, Racial Discrimination and Related Forms of Intolerance. The Instrument of Ratification, signed by Prime Minister Gaston Browne, was presented to the Secretary General of the Organisation of American States (OAS), Luis Almagro at a ceremony by the island’s OAS Ambassador, Sir Ronald Sanders. Sir Ronald said “the Gaston Browne administration is in the forefront of efforts to end discrimination based on race, racial discrimination and intolerance,” recalling Browne’s apology last month to the Rastafarian community. He said that “it is a matter of pride for Antigua and Barbuda that, small nation though we are, we have done ground-breaking work to advance a legally binding definition of racism, aggravated discrimination, and intolerance”. 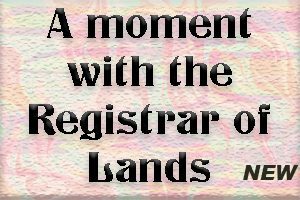 The diplomat expressed appreciation to Joy-Dee Davis Lake of the Antigua and Barbuda delegation to the OAS who, he said, “did outstanding work in navigating the Convention through its many difficult stages before it was signed”. Almagro noted Antigua and Barbuda’s pioneering role and the importance of the Convention in specifying for the signatory countries the democratic meaning of the principles of equality under the law and non-discrimination. Sir Ronald praised the 12 nations that have signed the Convention and expressed regret that others, including powerful OAS member states, have not. He urged all countries of the OAS “to join the convention and thereby enhance the rights of all people, particularly minorities and races that have suffered discrimination and oppression”. The 12 countries that have signed the Convention are: Antigua and Barbuda, Argentina, Bolivia, Brazil, Chile, Colombia, Costa Rica, Ecuador, Haiti, Panama, Peru and Uruguay. At the moment we have no service: Hackney Downs to Chingford and minor delays: Liverpool Street to Cheshunt / Enfield Town due to a trespasser on the track at Clapton. Greater Anglia and Stansted Express services are diverted via Seven Sisters, not calling at Tottenham Hale.